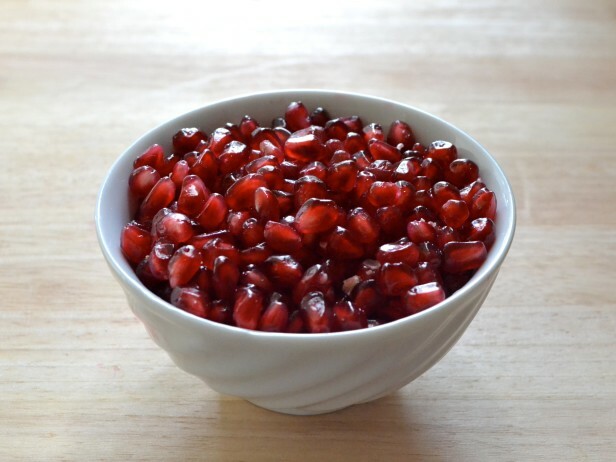 This majestic little fruit is filled with ruby red capsules called arils, which are each packed with antioxidant-rich juice and a crunchy seed. This practically mess-free method will help you release those tasty jewels. 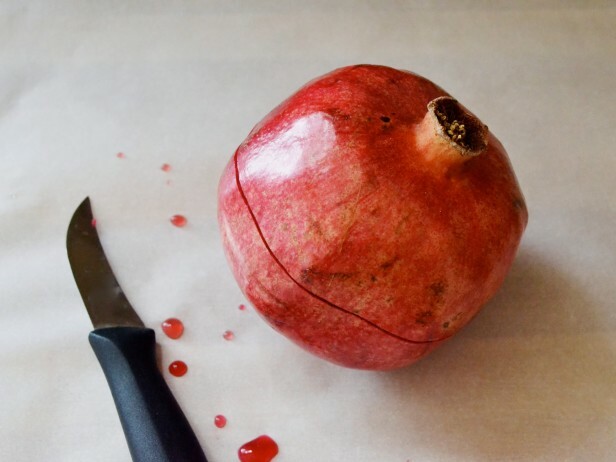 Use a sharp paring knife to cut through the pomegranate’s skin around the circumference of the fruit. 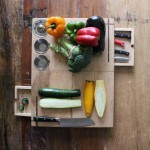 Avoid cutting all the way through, which will slice open the arils and make a mess. 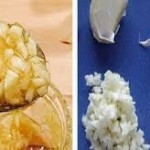 Once the skin is cut, the two halves can be easily pried apart with your hands. 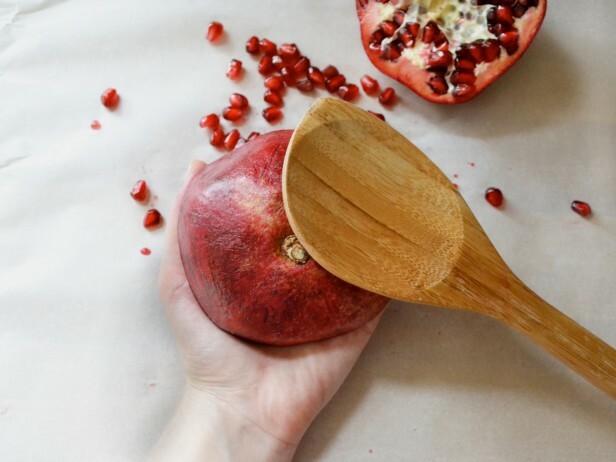 Pomegranate juice can easily stain countertops and wooden cutting boards, so definitely lay down a sheet of parchment paper or a plastic cutting board before you start cutting. Pry the pomegranate open into two pieces. Hold one half of the pomegranate in your hands and gently pull the sides out from the center until you hear the inner ribbing crack. 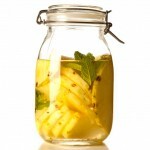 This will loosen the pomegranate’s grip on the arils, allowing them to easily fall out. Turn half of the pomegranate over, hold it in one hand and forcefully hit the sides with a wooden spoon so the arils will fall out. 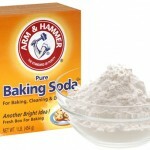 Do this over a bowl so you can catch the arils as they fall. 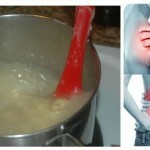 Stretch the pomegranate out to loosen the inner arils. Often the last few arils will remain tightly tucked up inside. 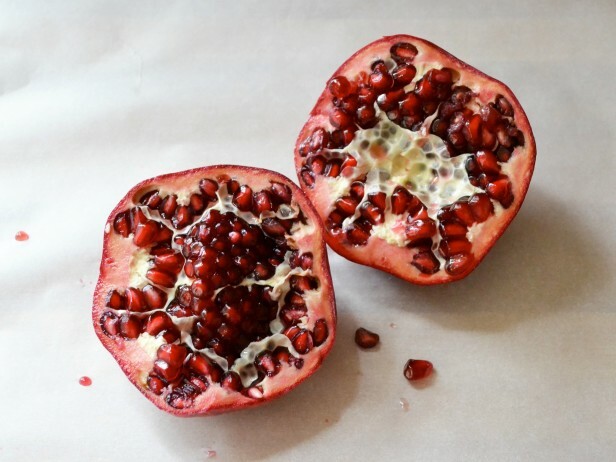 To get at those, turn the pomegranate half inside out and gently loosen them with your fingers. 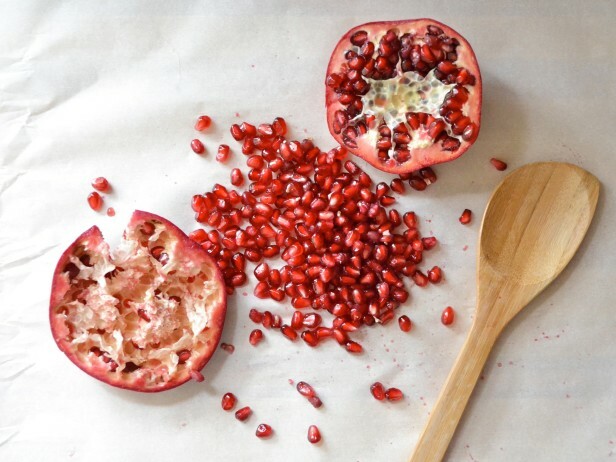 Repeat the process with the second half of the pomegranate until all of the arils are free. The arils can be enjoyed whole, seeds and all.